Did you notice on my book list what was added? 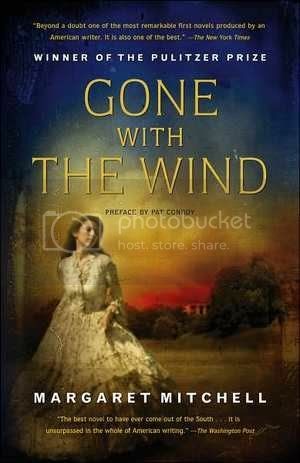 After a month and a week (I had to take a week off for the book club pick), I finally finished Gone with the Wind. I'm glad I finally sat down and finished it. I'm glad I can say "I've read the book" when someone asks. But overall, I wasn't that impressed with it and most of the time, I had to push myself to get through it. I honestly think that 90% of that is due to the fact that I've seen the movie so many times, I can quote it. 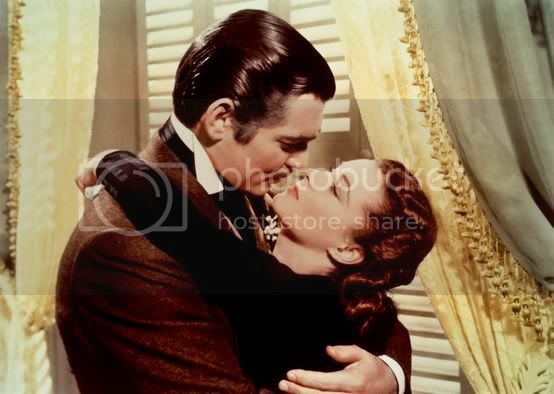 If I hadn't ever seen the movie, I would have been devouring it to see what happens next to Scarlett and Rhett. Which is why I'll keep being insistent on not seeing any movie before I've read the book. The movie does follow the general outline of the book pretty closely, but there are a few story lines left out of the movie that made the book more interesting. Kinda like the fact, that Scarlett actually had two other living children besides Bonnie. I will say that reading the book did give me a whole new love for Scarlett and her character. With the movie, Rhett has always been my favorite character. But from the book, it's Scarlett. Obviously, you do get way more insight on her in the book than the movie. A few people have asked because they had not read it and my advice to them has been, if you've seen the movie.....don't bother. If you haven't....go for it! When your finished, call me and we can have a Gone With the Wind movie party. I d ont think I've ever wanted to read that book..lol..I'd rather watch the long movie..weird for me to say!! I tried to read the book, but I couldn't get into it. I think I will have to try again. I haven't seen the movie either. I am so bad. It is my best friend's favorite, you'd think I'd give it more than a try!